Update: It looks like Windows 8.2 may not even happen, with the company potentially jumping straight to Windows 9, as far as title updates are concerned. See the details below! With Windows 8.1, Microsoft addressed some of the problems that scuffed the original Windows 8 release, smoothing the cracks between desktop and touch UIs, improving snapped apps, and allowing users to boot direct to the desktop, among other tweaks and fixes. For many, this is the software that Microsoft should have launched in 2012. For others, Windows 8.1 simply makes Windows 8 slightly less terrible. The truth is that, while Windows 8.1 improves Windows 8, the consensus is that it doesn't do enough. Before an all-new, rewritten-from-the-ground-up, cloud-embracing Windows 9 appears, we will probably have Windows 8.2 as a stop-gap in late 2014, although Windows 8.1 Update 1 is already available for download. Windows 9 could then appear in 2015. First though, we know that Windows 8.1 Update 1 will appear during Build 2014 after a previous goof already let it out of the bag. It's the leakiest update to Windows yet and is fairly underwhelming. The new update features improvements to the Start Screen including the ability to boot straight into the Desktop, the return of shutdown on the Start screen and a more familiar task bar to unify the old and new user interfaces. Most recently, Microsoft has confirmed that it will not release a second title update to Windows 8.1, but rather continue with its weekly cadence of smaller improvements and security patches. At this point, it seems that Windows 9 would land (supposedly this fall) before the company ever releases a Windows 8.2. WZOR, a Russian leaker group, seems set on a fall release date based on information it claims to have obtained. However, the collective isn't sure of whether the release will be known was "Windows 8.2" or just "Windows 8.1 Update 2." Mary Jo Foley of ZDNet fame, however, has been told by sources that this update could launch as early as August 2014. She reports that Microsoft looks to speed up its software update release cadence on the whole, starting with Windows 8.2 and possibly for future Windows Phone releases. 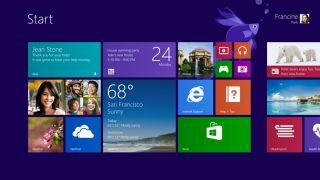 The same group of leakers, WZOR, has reason to believe that Windows 8.2 will introduce the revamped Start menu that was teased during Build 2014. That means a return, or at least something similar, to the Start menu found on Windows 7. A major difference will be the addition of integrated Live Tiles to the Start menu. This will dually keep the Modern UI aesthetic of Windows 8 while including some of that live-updating functionality. ZDNet's Mary Jo Foley cites sources that echo this sentiment. However, she reports that the inclusion of Modern UI apps in the desktop UI as floating windows and on the task bar might be tabled for a larger Windows 9 release in 2015. While Microsoft listened to user feedback and reinstated the Start button in Windows 8.1, they didn't make it intuitive. Clicking the Start icon simply takes you to the Metro Start screen. You need to right-click the icon to bring up a Start Menu, with more familiar quick links to Task Manager, Control Panel and Shut Down. Even this menu isn't strictly new: it's hidden in Windows 8 (press and hold the Windows key and press X to open it). Windows 8.2 could make the Start Screen easier to access and it would be an ideal opportunity to improve the discoverability of other useful options that are currently buried in sub-menus. While Microsoft is at it, Windows 8.2 should reinstate Libraries in File Explorer, which don't show by default. Yes, you can turn them back on. But again, the option isn't easy to find. Microsoft's fondness for labyrinthine menu structures is frustrating, especially for inexperienced users.